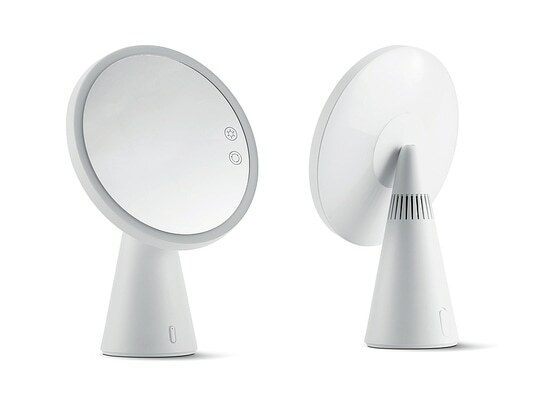 Moon Mirror is a mirror and table lamp in one. The round glass plane, enclosed by a slim metal frame, can be moved via a small joint. 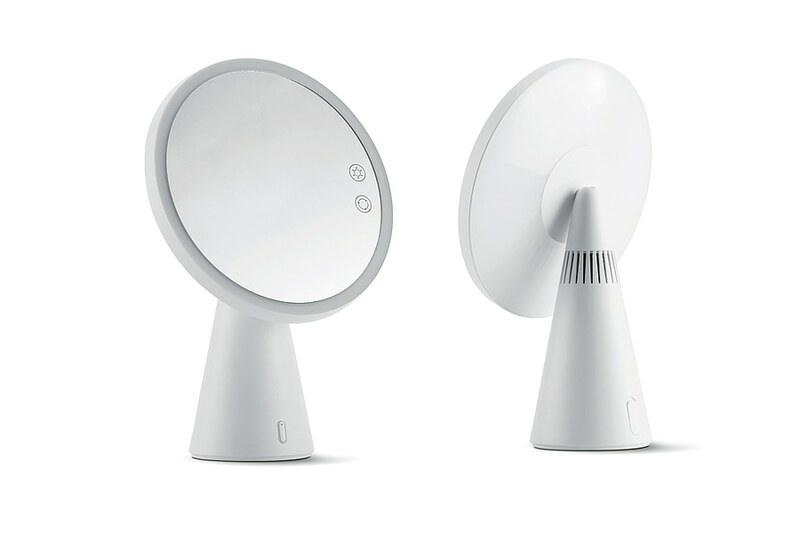 Horizontally aligned, the cosmetic mirror turns into a lamp whose brightness and light mode can be adjusted flexibly. The cone-shaped body also incorporates a Bluetooth speaker. This allows users to listen to relaxing music when putting on make-up or at bedtime. Complemented with refined details beyond its original function, the cosmetic mirror is also highly appealing as a stylish table lamp.